The potential for large-scale utilization of thermal energy is most obvious in regions where there is volcanic activity close to the earth surface, which are regions situated close to the continental plate boundaries. In terms of volumes utilized, the Top Five countries of geothermal heating are: China, Japan, USA, Iceland and Turkey. It is a challenging fact that the calculated Turkish potential of geothermal energy use amounts to 31 500 MW. This is the highest potential in Europe and the seventh highest in the world. The present level of direct geothermal energy utilization in the country is 1 229 MW. Of this total volume, 696 MW is used for heating of residential buildings, while the rest is used for thermal spas (402 MW) and greenhouses (131 MW). To stimulate this development, the Turkish government has initiated an exchange of technological experience with the government of Iceland. In the Balcova geothermal system, hot water ascends over an area of about 2 km along a major fracture zone, reaching almost boiling temperatures close to the surface. The hot water discharges via two concealed horizontal flows, one in the upper 100 metres beneath the ground surface and another in layers between 400 and 700 metres deep. a local energy company – Izmir Jeotermal Energy – owned jointly by the metropolitan municipality of Izmir (50 %) and the provincial government (50 %). – When it comes to equipment, we simply have to pick the best. The supplier must be able to prove a powerful capacity for after sales services and emergency preparedness. We are happy to say, that Alfa Laval fulfills these uncompromising criteria with a very safe margin. latter is naturally a key aspect, and Alfa Laval has earmarked considerable resources to provide daily support and a broad spectrum of after sales services. As a response to this effort, Izmir Jeotermal has placed a request for a service center dimensioned for all the substations in the area, some 1500 of them delivered by Alfa Laval. Erkan Erpolat is a sales engineer at Alfa Laval, Turkey. He describes the Alfa Laval mission within the Balcova system in functional terms. 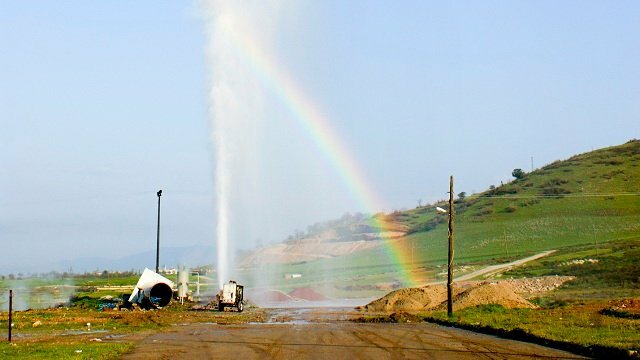 – Our main PHEs on site transfer hot ground water to the main city ring from a separate loop circulating water between the geothermal well and a re-injection point. By other PHEs, heat from this ring is transferred to a circuit supplying hot water to subscribers. There are some 1 500 PHEs from Alfa Laval at work within the network. A number of MX25, M15 and TL10 along with one M10 are used as main stations. The others are substations, mostly M6. During the gradual exploitation of the Balcova geothermal field, Alfa Laval has gathered valuable experience from utilization of geothermal energy distributed via district heating networks. The continuous dialogue and intense teamwork with Izmir Jeotermal has expanded and deepened our knowledge within this expansive field of technology.